Get relief, and get your life back! You're probably here because you are in some sort of pain or discomfort, whether it's back pain, neck pain, headaches, sciatica or something else. You may feel that you can't do the things you want to do because of your condition. It may be affecting your work, your focus, or your home life. It's something you just can't ignore. We have good news for you... we have helped literally thousands of patients get relief from their painful conditions and get their lives back. Many of our patients feel that the treatments they get here give them relief, but also affect the cause of their condition better than anything else they have tried. We would love the opportunity to help you this way as well. 1. 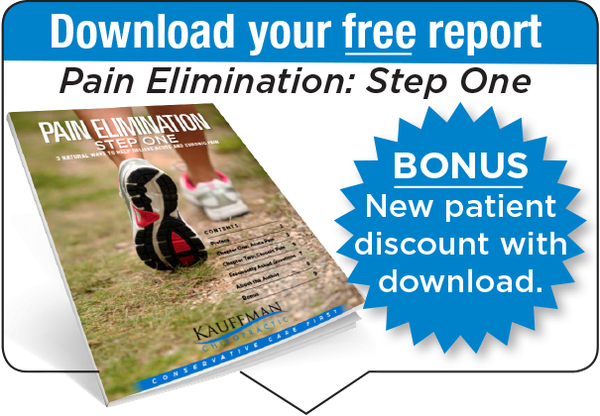 Leave your name and email above for our free report called Pain Elimination: Step One. This report will give you a tremendous amount of tips and insights to quickly reduce pain and create better health. 3. Call our office at 513-444-4529 to set up your first appointment at our Loveland Chiropractor office. We’re never too busy to help you! Dr. Kauffman is a licensed chiropractor in Loveland, OH. Patients travel from all over Cincinnati and the Southern Ohio and Northern Kentucky regions to see Dr. Kauffman. Joey: "I have been to many chiropractors and have had many different experiences good & bad and honestly Dr Kauffman is by far the chiropractor that has helped me the most." Jennie: "I am so thankful that I found Dr. Kauffman. He is extremely well knowledged in his field." Tonya: "Dr. Kauffman has helped me with migraine headaches for several months now. He is very caring and listens to you." 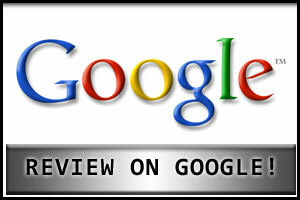 Call our office at (513) 444-4529 for an appointment today!